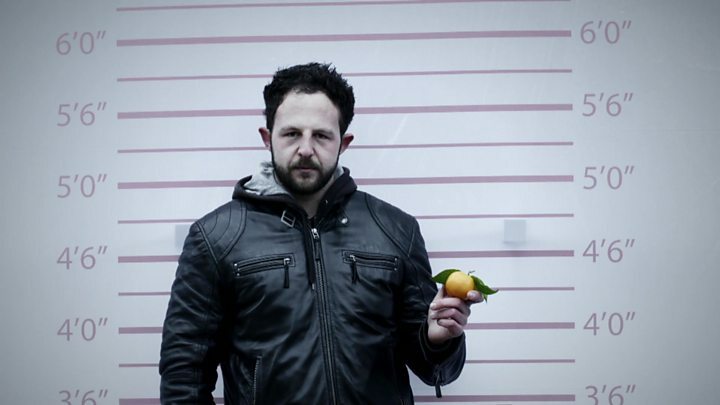 Media captionWere 'litter police' right to fine this man for dropping a small piece of orange peel? A private company acting as the "litter police" for dozens of councils pays officers a bonus for issuing fines, an undercover Panorama report has found. One officer from Kingdom Services, a leading enforcement company, claimed that his bonus one month was £987. Other officers were filmed handing out £75 fines for tiny pieces of dropped orange peel and poured-away coffee. Kingdom told Panorama that its competency allowance was not a paid incentive for officers to issue fines. Littering is a crime, but if you pay the fine you can avoid a criminal record. Councils are increasingly using private companies such as Kingdom, based in Cheshire, to enforce the Environmental Protection Act. Kingdom currently has about 28 contracts with local authorities and last year saw its profits jump 30% to £9m. The company frequently splits the proceeds of the fines with the councils. Panorama uncovered several cases where people were fined incorrectly. Luke Gutteridge, featured in the video at the top of the story, was issued with a fixed penalty notice by an officer working for Kingdom Services after he accidentally dropped a small piece of orange peel. Even though Mr Gutteridge, a market trader from Hertfordshire, picked up the peel, he was accused of littering. Luke's mother Rita Gutteridge, who works for a law firm, contested the case. She told Panorama: "Had we not appealed, or we weren't in a financial position to, he could have ended up with a criminal record for life, for dropping a piece of orange peel. It's just nonsense, and just disgusting to be quite honest." Sue Peckitt, a retired civil servant from Ealing in west London, successfully overturned a fine for pouring coffee down a drain. Barrister Dr Michael Ramsden told Panorama: "It's pure greed on the part of the enforcement officers, I would say. "Under no stretch of the imagination could you say that the liquid from the coffee cup is cross-contamination when it's going in a sewer, and she placed a coffee cup in the bin." Sue complained and the fine was dropped. Kingdom Services sent her a £20 gift voucher. Liz Jenner, a ballet and pilates instructor from Ealing, was issued with a fine for fly-tipping outside her own home after she put her recycling out on the wrong date during the Christmas holidays. It is understood that in Ealing, Kingdom officers ride on the back of rubbish trucks to issue tickets. She told Panorama: "'The borough has a very big problem with fly-tipping I appreciate that. But they're targeting the wrong people." The number of fines issued for littering has risen from 727 to more than 140,000 in England and Wales over the past decade, according to freedom of information requests made in 2015-16 by civil liberties group, the Manifesto Club. Josie Appleton, the group's spokeswoman, said companies such as Kingdom present councils with a "very seductive offer". "They basically just say, 'Sign it over to us and we'll make you a bit of money and you won't lose anything.'" But she said it was very concerning because "essentially what you have here is a fine on behalf of a public authority being contracted out to someone who basically has anything but the public interest at heart and so very much is seeking to make money". Panorama sent an undercover reporter to work inside Kingdom Services' enforcement team in Kent. During her training, the reporter asked a senior member of staff how officers were paid. The Kingdom manager said officers were paid £9.47 a hour. He added: "And then every ticket over four, you get a little competency allowance." When asked if this was like a bonus, he replied: "It's a bonus." He added: "When I was doing it in Ashford, I was hitting out quite a lot of tickets and I think the most I brought home just on the bonus was £987." In a statement, Kingdom told Panorama it offered a competency allowance. It said the allowance was discretionary and only paid if officers met all their basic competencies. During a training session with Kingdom, the reporter was told by a trainer: "Obviously we are here to make money, I'm not going to not say that to people." The trainer also told her that some officers pretended to call the police in order to make people pay a fine. She added: "When people think you are actually going to do something or you are going to get the police and they're going to have to stand there for another hour they may then… their attitude changes." One officer told the reporter that he often pretended to call the police in order to encourage members of the public to hand over their personal details. Once he had their details, he could issue a ticket. Kingdom said that it was important that members of the public know what could happen if they are convicted at court. But any decision to prosecute alleged offenders is made by the local authority, not Kingdom. The company said it provided local authorities with a cost-effective service and helped to keep Britain tidy within the law. The cost of clearing up litter exceeded £1bn last year and a further £1bn was spent clearing up waste, according to the campaign group Keep Britain Tidy. Allison Ogden Nash, chief executive of Keep Britain Tidy, said: "Enforcement is one of the methods we can use to change people's behaviour but it needs to be fair and it needs to have the public on our side." Watch Panorama - Inside the Litter Police on Monday 15 May at 20:30 BST on BBC One and afterwards on BBC iPlayer. Rubbish job: Why don't we just pick up litter?